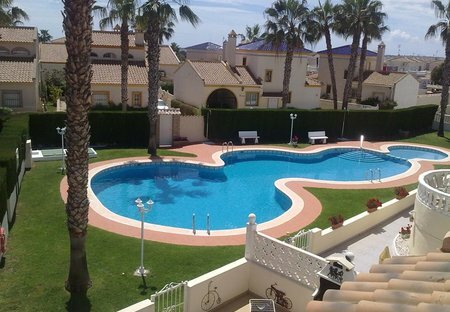 Fully-equipped 2 bedroom apartment in sunny Costa Blanca outside Torrevieja. Swimming pool, balcony, near beach. Sleeps 8/9. This is a 4 bedroom beautifully restored Cave House. Set in peaceful lush tropical gardens with a private pool. Stunning 360 Degree Mountain Views, Nestling In Orange And Lemon Groves. A 4 bed 2 bath apartment in the Las Violetas across from the Villamartin Plaza. Private pool and spacious. A Shopping mall, Golf, Beaches, Markets and much more all within a 5 min drive, PERFECT!!! WOW this is a beautiful Penthouse on the Villamartin Plaza and stunning! Massive space, beautifully decorated and awesome views. This is apartment is class above the rest and private roof garden!